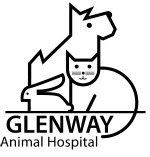 Glenway Animal Hospital is located in Western Hills at 6272 Glenway Avenue. The practice is situated between US Bank and Bob Evans, across the street from Arby's, and just down the hill from Home Depot and Dillards. If you need more detailed directions you can check out the map below or give us a call. We'd be happy to help you find us! Even the best pet owners are, from time to time, faced with situations involving their pets that require immediate attention. In the event of an emergency during our normal office hours, please call ahead, if possible, and proceed directly to our practice. Occasionally these situations present themselves after our "normal" office hours. We are fortunate to have several options available for excellent after-hours emergency pet care. Emergency facilities work closely with your regular veterinarian to ensure continuity of care and proper folow-up. We suggest that our pet owners become familiar (test drives really help!) with the location of at least one of these facilities in case you are unable to reach us in an emergency situation. If you experience an after-hours emergency, please go to one of the following facilities. 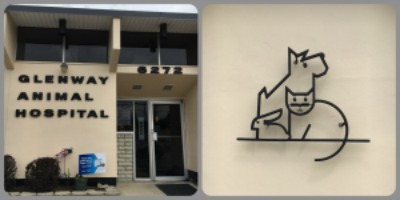 Grady Animal Hospital's doctors and staff are general practioners and do not specialize in emergency situations. Their facility is open 24 hours a day. The CARE Center's doctors and staff specialize in emergency situations. Board Certified surgeons and internists are available as needed. Dr. Daniel Carey and Dr. Doug Hoffman, when on duty, will see ferret, rabbit, and pocket pet emergency cases. The CARE Center is open twenty-four hours a day, seven days a week. MedVet's Emergency Department provides emergency and urgent care to sick and injured pets around the clock, 24 hours a day 365 days a year. MedVet's specialty departments include veterinarians with advanced training in anesthesia, cardiology, dermatology, integrative medicine, internal medicine, neurology, oncology, radiation oncology, radiology, rehabilitation and surgery. These specialists provide state-of-the-art diagnostic and treatment options. The emergency and specialty departments work together to ensure efficient and collarborative cae for your pet.